The Radstock Co-operative is proud to have opened its second store in the County of Wiltshire with the launch of its new purpose-built community store in Victoria Road, Warminster. This brings the number of stores in the retail estate to seventeen. The new store is in a prime location and is situated on a corner plot in an established residential area. The store shares the site with a ‘Vets for Pets’ veterinary surgery and pet grooming parlour. 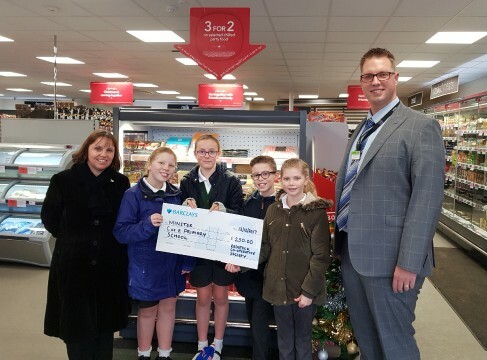 To mark the start of the store’s relationship with the local community, store manager Tim Schuster invited pupils from Minster Church of England primary school to receive a cheque for £250 which was presented to deputy head teacher, Mrs Maggs. 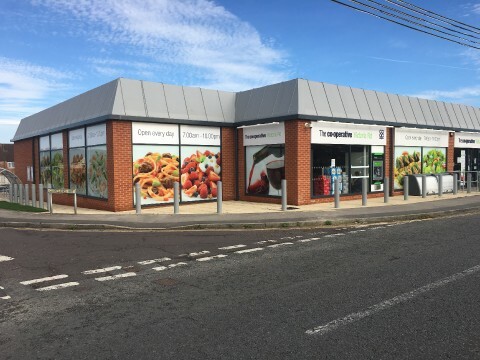 Apart from the great location, the store has ample free car parking with disabled bays, and has been fitted out to a high specification with energy-efficient chillers, freezers and lighting and low-level fixtures giving the illusion of space. The layout has been designed to provide a light and spacious environment with wide aisles to ease navigation and plenty of natural light providing for an enjoyable shopping experience. The store boasts a product range beyond the typical convenience store offering incorporating instore bakery with freshly baked breads, pastries and hot food-to-go, Costa Coffee Express, local supplier range including Jon Thorners homemade pies, quiches, pasties etc, extensive fresh and chilled ranges plus all the usual grocery items and services i.e. 24-hour ATM, Lottery, PayPoint. The society employs approximately fifteen people, many of who live in the local area. The Society hopes to develop links with local groups and organisations to support and work for the good of the community in accordance with its ethical retailing and co-operative principles. Photo – Store Manager, Tim Schuster with deputy head teacher, Anna-Marie Maggs and pupils from Minster School.